WASHINGTON, D.C. — In order to eliminate the oft-cited “achievement gap” between Black and White students, the federal government should invest more heavily in HBCU teacher preparation programs instead of programs, such as Teach for America that only require short-term commitments to teach, according to Dr. Leslie Fenwick, dean of the Howard University School of Education. That was one of most critical yet widely applauded recommendations made Thursday at one of several education workshops at the Congressional Black Caucus Foundation’s 2011 Annual Legislative Conference, which continues through Saturday. The session, “Closing the Achievement Gap,” took place Thursday and featured a panel that included Fenwick. When asked how HBCUs can be engaged to reduce the achievement gap, Fenwick stated that larger investments should be made in HBCUs because of their proven track record of producing more than their share of the nation’s Black teachers. “HBCUs are less than 4 percent of the nation’s colleges and universities, yet we prepare 51 percent of the nation’s (African-American) teachers,” Fenwick said in making the case for greater investments in HBCU “pipelines” for the nation’s future teachers. Later, when asked what policy recommendations she would make to the Obama Administration, Fenwick laid into charter schools and Teach for America. Similar skepticism should be shown for Teach for America, she said, eliciting a chorus of agreement among the 200 or so people who attended the standing-room-only session. But among the highly vocal audience that mostly agreed with Fenwick were several members of Teach for America, or TFA, who said they were perplexed by Fenwick’s criticism of the program and the audience’s overall agreement with it. “We don’t understand it,” said Chante Chambers, the Managing Director of HBCU Recruitment at Teach for America, in an interview with Diverse. “At the end of the day, I think we have a common goal, which is to improve the state of education in low-income communities for students of color, who deserve more than what the current education system is offering them,” Chambers said. She also said the two-year commitment to teaching required by TFA is a good way to get youth advocates and leaders the kind of practical experience they need to more effectively bring about change in other venues. Fenwick, asked to clarify and elaborate on her criticism of TFA, faulted the organization for subjecting minority students to non-credentialed teachers who are only asked to commit two years. Though Thursday’s session momentarily turned into a bit of a trial for Teach for America, panelists focused on a variety of other topics. Panelist Dr. Dolores Cummings, a Maryland-based psycho-educational consultant and CEO of Cummings Consulting, said educators need to be more respectful of parents. “Too many parents feel they are not welcome,” Cummings said, “and when they come, that we’re looking down on them, judging them. Other suggestions included putting less emphasis on standardized tests in order to avoid creating an environment where teachers “teach to the test” and where, as panelist Dr. Mamie Locke, dean of the School of Liberal Arts and Education at Hampton University, lamented, students are actually trying to learn to the test and ignoring things on which they won’t be tested. Notably, the Obama Administration is expected to announce details Friday about its plan to issue conditional waivers to states on certain requirements of No Child Left Behind in order to ease the pressure the federal education law implemented under the Bush Administration puts on schools to get all students proficient in reading and math by 2014. “States can request flexibility from specific NCLB mandates that are stifling reform, but only if they are transitioning students, teachers, and schools to a system aligned with college- and career-ready standards for all students, developing differentiated accountability systems, and undertaking reforms to support effective classroom instruction and school leadership,” the White House said Thursday. Other speakers at the Thursday forum included Dr. Adrienne Bailey, senior consultant with Stanford University’s Center for Opportunity Policy in Education; Dr. Dorothy Battle, an academic researcher at the University of Cincinnati, Patty Dineen, convener for the National Issues Forums Institute; and Ileana Martin, program officer with the Charles F. Kettering Foundation, a Dayton, Ohio-based research institute. The forum was moderated by Erma Johnson Hadley, chancellor at the Tarrant County College District in Fort Worth, Texas. The forum was hosted by Rep. Bobby Scott (D-Va.), the Links, Inc., a non-profit organization of professional women of color, and the Kettering Foundation. Attended by individuals who ranged from members of parent advocate groups to officials with nonprofit organizations that work with youths, the session was just one of a half dozen or so workshops that Congressional Black Caucus members organized around issues of education. Other sessions dealt with the role of Black men in transforming education to the impact of integration on college sports at HBCUs. The Annual Legislative Conference drew 3,000 paid registrants, but organizers said the conference drew a much larger number of unpaid registrants who were allowed in because CBC Foundation has a policy of not turning away anyone for inability to pay. I can vividly remember the day I first stepped foot on the University of Texas-Pan American campus to begin my dissertation research on first-generation Mexican-American college students. Classes had just started and Spirit Week was in full swing. As I walked around campus, my senses went into overdrive. Students were excitedly walking to class, chatting in groups, and lounging around the campus. I could not put my finger on the overwhelming sense of excitement or comfort I felt. And then it suddenly hit me: Almost every student who passed by looked like me and was speaking Spanish. I was born in San Benito, Tex., a small town on the Mexican border. There I learned to embrace my life as both a Mexican and an American. I was raised in a predominately Hispanic community, where I learned to speak Spanish at a young age and where "day care" meant spending time at my grandma's house with all of my cousins. I was the first college graduate in my family, and went on to pursue a doctorate in higher-education administration at the University of Texas at Austin. I understand firsthand the obstacles many first-generation Latino students face, and over the past four years have dedicated my research to learning about their experiences, specifically at Hispanic-serving institutions in Texas, and what helps such students succeed in college. The designation "Hispanic-serving" applies to nonprofit colleges where full-time undergraduate enrollment is at least 25 percent Hispanic. I chose Pan American, which has 19,000 students, because of its high Latino enrollment and large number of graduates. (In 2010 it ranked third among colleges nationwide that awarded the most bachelor's and master's degrees.) It is located in the Rio Grande Valley, one of the fastest growing—and poorest—regions in the United States, according to U.S. Census data from 2010. Despite the area's economic conditions, Hispanic students at Pan American are consistently doing well, and more important, they are graduating. A campus climate that values and validates their culture. This was critical to students, who believe they do best when they feel at home. With the rapid growth of the Hispanic population in the United States, more Latinos are expected to attend college, and it is imperative that they feel welcomed and supported. Administrators can accomplish this by deliberately analyzing how their institutional missions are serving Latinos. "I think the important thing for the university, any school or any place for that matter, is to have events, lessons, foods, or lectures that can relate to the culture that they are serving," Marc, a 26-year-old student who spent four years working before attending college, told me. Pan-American, for example, has built an on-site day-care center to assist students who are parents. For many young mothers, the center provides crucial support that allows them to continue their education. Academically, Pan-American encourages more Hispanics to pursue careers in STEM (science, technology, engineering, and math) fields. Once a year it hosts the Hispanic Engineering, Science, and Technology Week, which brings together nationally known speakers and students from all over the Rio Grande Valley. Sara, a 22-year-old student, told me, "I think a university that provides these types of events is reaching out and actually helping more Hispanics reach their goal to graduate and get a degree." Academic programs that promote collaboration. Latino students consistently made the point that they thrive in supportive academic peer groups—particularly important at a commuter campus, where students have fewer chances to interact than at residential universities. Latinos are commonly raised in extended-family environments, and the peer groups provide a similar network of support and responsibility. Education majors often cited an academic-cohort program in the School of Education in which the same groups of students meet in classes—called blocks—as a significant step in keeping them engaged and on track to graduation. Besides providing academic motivation, the program helps students develop friendships and connect with one another through mutual career goals. Kayla, a 28-year-old commuter student and single mom, said: "When you start the Block program, you see the same people every day. Some of us carpool and we help each other that way. That sense of helping each other and reminding each other of when assignments are due is a good experience. You feel like you are just not here alone." Academic-cohort programs are common in graduate education, but colleges should consider their long-term benefits for Latino undergraduates as well, especially in fields such as science, engineering, and math, subjects in which courses are sequenced and students can complete the requirements as a team. Clear procedures to simplify the transfer process. Many Latino college students are first-generation, and have very little understanding of the college process. Unable to draw upon the knowledge of parents or peers, many experience trial by fire. As one Pan-American administrator said, "It is one thing to get them in the door, and it is another thing to ensure they graduate." Because so many Latino students begin their education at community colleges—in Texas, that figure is over 60 percent—both two- and four-year colleges must help make the transition to four-year institutions seamless. The students I interviewed found the transfer process especially difficult when the burden of making sure they met course requirements fell mostly on their shoulders. Many agreed that the close collaboration between Pan-American and South Texas College, the local community college, made it possible for them to pursue their degrees. A student who had transferred three times told me: "The one thing that helped me was my transfer adviser. She was the one who was responsible for making sure I had all the hours transferred over. She made sure that I had all the classes required ... and that I had the grades to be ready for it." A well-articulated pathway to a degree. This was another institutional tool frequently mentioned by students. Pan-American advises all first-year students on their degree plans. Students found the degree plans most useful when they were repeatedly used during advising sessions throughout their four years. Degree plans are a key to success, constantly reminding students where they are going and what it will take to get there. Strong faculty advising to help students make connections between degrees and careers. Latino students relied heavily on faculty members for career advice, and often considered them indispensable mentors who inspired them to continue their education. Colleges have a responsibility to train faculty, as well as students, about institutional policies. At Pan-American, new faculty members participate in a yearlong program that includes training on such issues as how to be culturally sensitive to Hispanic students. It makes new professors aware of the types of students they will be teaching and the many factors that shape their lives. Just getting to class, for example, is a hardship for some students. "We do everything to show our faculty where the students come from, including their home lives and environment," one administrator said. The program is not meant to "water down the curriculum," but to expose professors to the difficulties many students face, this administrator said. "We want them to know we are here to serve our students." My research examined the programs and tools that help Latino students reach the finish line. But in the end, it takes supportive faculty members and administrators to create those programs and services—people like the Latina administrator who told me, "I do what I do every day so I can see the light in their eyes shine." When given the opportunity, students will tell you what they need. When colleges are willing to listen, everybody wins. 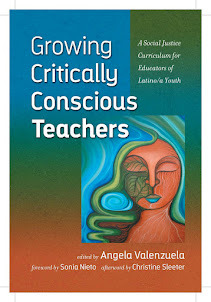 Laura J. Cortez is a recent doctoral graduate of the University of Texas at Austin and a higher-education consultant. She has worked as a career and academic adviser to underrepresented minority students at Texas and St. Edward's University. Gov. John Connally created the Higher Education Coordinating Board more than four decades ago to try to curb the intrusion of politics into Texas colleges and universities. Upon appointing the board members, he asked them not to accept his appointment if they could not take a statewide overview and rise above politics, put aside regional loyalties, and curb their desires to promote the interests of their alma maters. As with the university regents he appointed to boards, he asked them to exercise their best independent judgment in giving policy direction to the schools they governed and to keep politics out of education. Connally's charge to his appointees fit the American model for university governance. In Europe, universities are governed by their faculties. But the United States decided early on that the corporate model should be used to govern our colleges and universities. Ever since, boards of regents or trustees have been the supreme authority on our campuses. But the trustees and regents of the nation's best and greatest universities promptly learned that they needed to share governance with their faculty members. Those colleges whose boards ignored and overrode their faculties saw their best faculty leave to join other schools more tolerant and accepting of their ideas. On the most outstanding campuses there developed among regents, faculties and administrators a close partnership of authority, consultation, mutual guidance and exchange of ideas. Effective regents and trustees quickly learned they were not "top-down" directors put in place to unilaterally issue orders about how their campuses were to be run. They learned to consult with faculty on policies and management. The more enlightened boards came to see that they had a role to defend as well as to explain the university. They needed to serve on the one hand as a moat to protect the citadel of learning and on the other as a bridge to help the community understand the role of the university and its contributions to society. As Connally said, "I want you to be the spokesman for higher education in Texas — to lend encouragement to our institutions, to praise their progress, support their steps toward excellence, to applaud their imagination and initiative in imparting knowledge." Recent efforts to redirect and "reform" Texas higher education imposed from the top down, precisely the kind of politics Connally wanted to curb, have been introduced to the campuses. And the historical lessons of how to make universities outstanding through shared governance have been ignored or even ridiculed. The politics being insinuated from the governor's office and from regents the governor appointed is damaging Texas universities. National rankings of universities is based largely on reputation. And nothing lowers the standing of a university faster than word spreading across the country that a school is losing its independence and autonomy, that outside politics is controlling the institution, that the faculty has lost its role in participating in campus governance, that thought is best in lockstep, that dissent is denigrated. Institutional reputations in the making over scores of years can be undone quickly, and they can take decades to rebuild. In Texas, it is undeniable that campus faculties recently have been unjustifiably demeaned as being out of touch, criticized as selfishly involved in unproductive research and uninterested in students, and ignored when new policies and directions are adopted and promoted for running the universities. Among all states, Texas has the reputation for the most egregious and frequent political interference in higher education. Current intrusions merely underscore the bad record the state bears in this regard. In the 1920s, Gov. "Pa" Ferguson insisted that professors he objected to be fired or he would veto University of Texas appropriations. Then there was Gov. W. Lee O'Daniel's insistence that the regents fire professors whose views he objected to, ending in firing the president. And regents whom the governors appointed carried out their orders and did their dirty work. Then the heavy-handed control of UT-Austin under board chairman Frank Erwin followed during the troublesome 1960s and '70s. Each of these episodes extended over years and eroded progress being made to develop nationally recognized universities. Now, once again, Texas higher education is being watched and discussed by faculties and administrators on campuses across the nation. How damaging will this latest round of political incursions be? How deep and lasting will the interference be? How will campus reputations be affected? How badly will faculty recruitment and retention be hurt? How long will it take to rebuild? Regents would do well to heed Connally's advice to his appointees: "Leave politics to the politicians and administration to the administrators." Ashworth is a former commissioner of the Texas Higher Education Coordinating Board. Before today's inaugural hearing of the Joint Oversight Committee on Higher Education Governance, Excellence and Transparency, one of the co-chairs — state Sen. Judith Zaffirini, D-Laredo — said it was important to remember why the group was formed in the first place. "It was created because there was a controversy," she said in an interview with The Texas Tribune. That was back in May, when a number of legislators were concerned about the direction the regents appointed by Gov. Rick Perry — who had promoted a controversial set of "seven breakthrough solutions" for higher education published by the Texas Public Policy Foundation — might take the state's university systems. The uproar has quieted down somewhat in the intervening months. "Though the controversy is not roiling at this point, we want to ensure that something like that will not happen again," Zaffirini said. She hopes the much-anticipated hearing will set a "constructive and optimistic" tone. The proceedings will have a decidedly national flavor. Those invited to give testimony include Hunter Rawlings, president of the Association of American Universities, an organization of the top 61 public and private research universities in the U.S. and Canada. It was Rawlings' predecessor who denounced the "breakthrough solutions" in a letter to former Texas A&M University System Chancellor Mike McKinney. Also on the docket are experts from the American Council of Trustees and Alumni, the Association of Governing Boards, and the National Center for Higher Education Management Systems. The other co-chair, state Rep. Dan Branch, R-Dallas, said in a statement that the goal was to help the committee members — as well as other legislators that are expected to attend — "gain a broad perspective on higher education governance models at universities across the country." Texas Higher Education Commissioner Raymund Paredes and Texas Higher Education Coordinating Board Chairman Fred Heldenfels will also be on hand to provide an overview of the current higher ed governing structures in the state and outline their productivity-boosting initiatives. They are expected to provide details on a new statewide group — the Council for Continuous Improvement and Innovation in Texas Higher Education — being formed by the coordinating board and comprised of business and higher education leaders. The council will identify the best practices for, and evaluate the state's progress toward, becoming an international higher education leader. A spokesman for the coordinating board indicated on Tuesday that the council members had yet to be finalized. The similarly named Texas Coalition for Excellence in Higher Education, a group of prominent higher education backers that formed during the controversy to push back on what they viewed as misguided reform efforts, will likely be making its presence felt during the public testimony portion. Jenifer Sarver, a spokeswoman for the coalition, said members had been encouraged to attend and participate. "We think it's an important hearing," she said. "It's a critical issue that's not going away, and we need to keep an eye on the ball." A spokesman for the Texas Public Policy Foundation, which played a key role in stirring up the debate, declined to comment in advance of the hearing, which its representatives will also attend. In advance of the event, however, the group issued a report by policy analyst Heather Williams on the governing boards of universities in the state. "Is it 'micromanagement' to ensure that the university's mission of educating students is fulfilled?" she asks in it, adding, "An engaged board is a responsible board." Freshman state Rep. Eric Johnson, D-Dallas, who is on the joint committee, said in an interview that this is a crucial time for such questions. "Our committee, and all those who care about the future of Texas, must focus on making a college education affordable and accessible to as many Texans as possible, and that is what I intend to do" he said. Zaffirini said more hearings of the joint oversight committee are being organized for later in the fall. "What we want to do is be very responsible and thorough and carry out our charge," she said. Learning about Georgia right now. Looks like their end-of-course tests got launched in fall 2011 (based on this piece) and that the test counts for 25% of the students' grades in 8 courses. Looking for more current info right now. Every so often, the issue of financial aid awarded on the basis of students' race flares. Lawsuits crop up challenging a state's or institution's ability to consider students' race in handing out grants, or a white student (or a group of such students) announces the creation of a fund for scholarships reserved for white students, on the grounds that grant money flows disproportionately to members of minority groups. A new report challenges the assumptions underlying such developments. The study, by the financial aid analyst Mark Kantrowitz, is plain about its goal: to debunk what the author calls "the race myth, which claims that minority students receive more than their fair share of scholarships." Kantrowitz is no minority activist; as the publisher of Finaid.org, and an ABD in computer science from Carnegie Mellon University, he is first and foremost a financial aid data enthusiast, known for crunching numbers to help students and families, policy makers and others understand the complex world of financial aid. Numbers present a compelling and clear argument in this case, Kantrowitz asserts in his paper. Mining data from the U.S. Education Department's National Postsecondary Student Aid Study, Kantrowitz examines the flow of federal, state, institutional and privately funded financial aid to students of different races. Looking at all of those forms of financial aid together (excepting only federal tax benefits), Kantrowitz finds that the money flows to students of different races roughly in proportion to their representation in the overall postsecondary population: white students make up roughly three-fifths (61.8 percent) of all students, and they receive about that amount of all total grant funding (59.3 percent). Various minority groups also receive proportions of grant funding that track their representation among all students (Hispanic students make up 14.1 percent of students and receive that proportion of grant aid, etc.). That's more or less as it should be, Kantrowitz says. The big differences come when examining breakdowns of different kinds of financial aid -- funds awarded to students based purely on their financial need vs. those awarded without regard to such need, scholarships awarded by institutions and by private organizations, etc. Among all sources of grant funding (federal, state, institutional, private, etc. ), white students (who make up 61.8 percent of all students) receive 51.3 percent of grant aid awarded based on financial need alone, while minority students receive 48.5 percent. That breakdown occurs, Kantrowitz says, for an obvious reason related to the relative financial stations of minority and white Americans in U.S. society: "Minority students receive a higher share of need-based grants, representing 48.5 percent of grant recipients and only 38.0 percent of the student population, [because] they are more likely to be low-income." White students, in turn, receive 75.6 percent of grants awarded based on academic and other kinds of merit, compared to 24.3 percent allocated to minority students. These grants, Kantrowitz notes, are often awarded by semi-selective colleges as a "form of financial aid leveraging," to woo middle- and upper-income students who can pay meaningful portions of their tuition costs. "A full-pay student -- even with a significant discount in the form of a merit-based grant -- still yields more net revenue to the college than low or moderate-income students," he writes. At public colleges, white students made up 62.7 percent of the student population but were 73.1 percent of the recipients of merit-based grants and received 68.2 percent of the merit-based funds; at private nonprofit colleges, white students made up 66.8 percent of the collective student bodies but received nearly 80 percent of the merit-based grants. Over all, white students were nearly twice as likely as minority students with SAT scores of at least 1400 (on a 1600 scale) to receive institutional merit-based scholarships, Kantrowitz says. Figures like those explain why state and institutional merit-based financial aid has increasingly come under attack from groups that advocate for low-income and minority students (like Education Trust) and why some campus leaders have argued that institutions should move to once again allocate their precious aid dollars based on students' financial need rather than other factors. Minority students receive 34.7 percent of all privately funded scholarship money, and make up 30.5 percent of recipients of privately funded scholarships, Kantrowitz reports. "To put minority students on an equal footing would require increasing annual private scholarship awards for African-American students by $83 million and Latino students by $197 million," he writes. "These figures are based on equalizing the mean grant, the ratio of total funding to total student enrollment, so that all racial groups have the same mean grant." Kantrowitz concludes: "Over all, merit-based grants tend to disproportionately select for Caucasian students. This is compensated somewhat by the distribution of need-based grants according to race, since minority students tend to be less affluent than Caucasian students. Shifting funding from merit-based grants to need-based grants will yield more balance in the distribution of grants according to race, but it will not entirely compensate for private scholarships that collectively demonstrate implicit preferences for Caucasian students." Pearson continued adding to its education empire, buying the online charter school operator Connections Education, the company announced Thursday. Connections Education, which runs online K-12 schools in 21 states, represents a new sort of business for Pearson, which currently offers a variety of online education products but does not operate any American educational institutions on its own. Pearson bought the company from Apollo Management, a private equity firm that is unrelated to the Apollo Group, owner of the University of Phoenix. 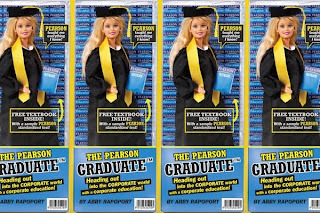 NEW YORK, Sep 15, 2011 (BUSINESS WIRE) -- Pearson, the world's leading learning company, is announcing today the acquisition of Connections Education from an investor group led by Apollo Management, L.P. Through its Connections Academy business, the company operates online or 'virtual' public schools in 21 states in the US--serving more than 40,000 students in the current school year. These virtual charter schools are accredited and funded by the relevant state and are free to parents and students who choose a virtual school in place of a traditional public institution or other schooling options. Virtual schools serve a diverse population of students including those who may be gifted, struggling, pursuing careers in sports or the arts, in need of scheduling flexibility, or who have chosen home schooling. It is a large and rapidly-growing segment in US K-12 education: in 2010, 48 states and Washington, D.C. had virtual school programs and 27 states allowed virtual charter schools. Approximately 200,000 students attended full-time online courses and an estimated 1.5 million students took one or more courses online. (source:Keeping Pace with K-12 Online Learning)(source:2010)(source:Evergreen Education Group). Connections Academy Schools perform favorably compared with other full-time online programs and have consistently received high performance ratings, particularly in states focused on measuring growth in student learning. Parents of students enrolled in Connections Academy schools give consistently high satisfaction ratings: in the 2010-11 school year, more than 92% of parents gave their Connections Academy school a grade of 'A' or 'B'. Connections Education has recently launched a new division, Connections Learning, which makes its courses and technologies available to educational institutions and other organizations in the US and globally. It supports the development of blended learning environments which combine classroom and online instruction and will further broaden Pearson's range of school services across curriculum materials, assessment and learning technologies. Connections Learning also operates the National Connections Academy private online school that serves students throughout the US and internationally. For Pearson, the acquisition provides a leading position in the fast-growing virtual school segment and the opportunity to apply Connections Education's skills and technologies in new segments and geographic markets. It extends Pearson's investment in education services and technologies that have both a direct connection with the learner and a strong record of enhancing student achievement. Marjorie Scardino, Pearson's chief executive, said: "For a decade or more, we've invested in education technologies that have the potential to make learning more effective for each child. Connections Education does that. Virtual schooling is an attractive choice for a growing group of American parents and in the next decade it will take off in other countries. Beyond that, Connections Education has developed a broad array of highly effective learning tools that we intend to make available to all kinds of schools and all kinds of students." Dreyer said, "Joining forces with Pearson gives Connections Education the opportunity to share our proven virtual education solutions with a much wider global audience, and collaborate with the developers at Pearson in creating an even more robust set of online and blended offerings for students of all ages. We look forward to growing this business and making high-quality digital learning available to anyone, anywhere." Will Ethridge, CEO of Pearson North America, said, "We see Connections Education as highly complementary to our own business, and it provides an opportunity for developing new models of instruction and increasing the effectiveness of Pearson's global educational programs. Our joint goal is to ensure that every student is college and career-ready when they graduate." Pearson is the world's leading learning company. Its major businesses are: Pearson, the global leader in education, providing print and digital learning materials and services used by millions of students of all ages every year; The Financial Times Group, which has an international network of business and financial newspapers and online services that are read by millions of business executives and investors every day; and Penguin Group, which is one of the pre-eminent names in consumer publishing, with an unrivalled range of fiction and non-fiction, bestsellers, and classic titles. Through its books, newspapers and online products and services, Pearson helps people of all ages to live and learn. See www.pearson.com . Internet friend Mimi Lozano told me about Wanda Garcia becoming a monthly columnist for the Corpus Christi Caller. In return, I asked her to tell Ms. Garcia that she will rarely hear from people who agree or like what she writes but will frequently hear from people who disagree and do not like what she writes. My last two columns have been the opposite of what I wrote Ms. Garcia. In fact, people who enjoyed the columns outnumbered those who did not by an eight to one ratio. Those who disagreed did so due primarily for personal reasons or not understanding and not properly reading what I wrote. That is, that the mis-teaching of history, the white and black perspective textbooks and the Black Legend have caused identity problems and in some cases inferiority complexes among some Tejanos and Mexican Americans in South Texas. Moreover, the articles were a direct result of four people I had met, interviewed and exchanged phone calls or email with the last 45 days. Allow me to give you two examples. Ms. M is a 52 year old Mexican American (third generation from Mexico) who can easily pass for a petite young lady in her early 30’s. She takes pride that her three sons (in mid 20’s to mid 30’s) are usually thought to be her brothers. Although a San Antonio, Texas native, Ms. M currently lives outside the state and identifies herself as a “Latina”. Ms. M said she only dates (and trice married) “Anglos” and not Latinos and especially not “Mexicans”. According to her, Latinos are drug dealers, drug users, drunks, have beer bellies and beat their women. Anglos on the other hand, she said, treat their women like princesses. I asked if she had ever heard of Ted Bundy, Son of Sam, Gacy and other serial killers. She replied she was not and has never been interested in history. However, that is basically not true as she contacted me wanting to know something about her family’s origin. All she knows is that her grand parents migrated from Mexico to a rural community in South Texas. Her parents moved to San Antonio and her mother was active in the Chicano movement of the 70’s and 80’s. Ms. M considers her mother’s activist involvement to have been a waste of time and non-productive. Moreover, she dislikes her hometown saying “San Antonio has become a low life Mexican city”. In fact, the only thing she seems to like about San Antonio are the wide variety of tacos that she cannot get where she lives. Notwithstanding Ms. M’s harsh look on life, we continue to be email long distance friends. I send her selected columns as I see this as peeling an onion one layer at a time. “invader-ancestors” killed his people and never recognized them as human beings. He erroneously states that both Spanish and U. S. law have declared the Native American as a non-American. He does not know history and hence the last two columns. When asked about his family background, Mr. R said he is a Coahuiltecan Indian. This is a problem as four of the five people I have met in San Antonio claiming to be Coahuiltecan are third to fifth generation from Mexico. One told me his grand parents moved to the Alamo City from San Luis Potosi. I pointed out the major Native American culture is that area are the Huichols and not the South Texas Coahuiltecans. Two others revealed their grand parents were from central Tamaulipas. As for Mr. R, his grand father was a vaquero at the King Ranch and supposedly left it during the Great Depression of the 1920’s. Without questioning the timeline contradictions, I asked where they had come from or moved to. He did not know their point of origin but did know the family lived in a ranch “outside of Kingsville”. I pointed out to him that IF his grand parents were indeed Native American of that area, they would have been either Karankara or Tamaulipecos but not Coahuiltecan. In many ways Mr. R reminds me of the hundreds of students and non-students I have met these last 40 years who have no idea as to the origin of their families but have concluded they do not want to be seen or considered as Mexican American, Chicanos or Mexican; all of which they consider negative. Hence I have met many who erroneously claim to be Coahuiltecan, Sephardic Jewish., and Canary Islanders (in regard to the founding families of San Antonio, Texas). I have even met wanna-be cousins/relatives who because their last name is Carvajal erroneously assume they are descendants of Nuevo Leon founder Luis de Carvajal y de la Cueva or his nephew Luis Rodriguez de Matos, aka Luis de Carvajal el mozo (the younger). The wanna-be cousins react in disbelief when I point out that neither Luis had any children and that the Inquisition burned the last name (Carvajal y de la Cueva) at the stake with only the in-laws with different surnames having survived. This is like many in the Chicano Movement of the 70’s and 80’s moving Aztlan from the Mexican state of Nayarit to Colorado. And to make things more interesting, proclaimed all Chicanos to be of Aztec descent! On the other hand, is this any different from the Anglos who claim their grand mother was “a Cherokee Indian princess?” First of all, the Cherokees did not have kings, queens, princes or princesses. Second, why not an Arapaho, Delaware, Mohawk, Seminole, Pawnee, etc.? The answer is simple, based on what was and is taught at school, the person identifies with a culture considered to be more positive than their own family background. Nice piece by Rapoport. Good work putting in a snippet on HB 500. The early results of the latest leg in a key fundraising race for Texas universities seeking tier one status are in — and the University of Texas at Dallas is in the lead. But there's still more than $1.2 million up for grabs this biennium. In 2009, lawmakers approved a bill by state Rep. Dan Branch, R-Dallas, establishing an ambitious program to allow seven "emerging research universities" ( Texas Tech University, the University of Houston, the University of North Texas, and University of Texas campuses in Dallas, Arlington, San Antonio and El Paso) to compete for extra infusions of cash, with an eye toward increasing the number of public national research universities in Texas (currently, the state can only claim the University of Texas and Texas A&M University). Part of that bill created the Texas Research Incentive Program, which uses a limited pool of state funds to match large private donations geared toward boosting research at eligible institutions. Gifts of more than $100,000 receive a 50 percent match from the state, those above $1 million get a 75 percent match, and $2 million or more is matched at 100 percent. It was an instant hit, and the $47.5 million in state funds available in the first biennium was almost instantly used up. The big winners in that round were Texas Tech University and the University of Texas-Dallas, which pulled in nearly $21 million and $15 million respectively. The University of Houston — which has since received tier one designation from the Carnegie Foundation for the Advancement of Teaching — pulled in disappointingly low numbers totaling less than $5 million. Heading into the last legislative session, many feared that budget cuts would result in the fund being left empty. But lawmakers managed to put more than $34 million back into the fund to be distributed over the recently begun 2012-2013 biennium. Much of the money that will be distributed in the first year, fiscal year 2012, are the leftover matches from the oversubscribed 2010-2011 biennium. But Branch said that new gifts, which will make up the 2013 payouts, have picked up significantly since the legislative session ended. The totals are subject to change as each university closely examines the claims made by their competitors — a review process that representatives of the Texas Higher Education Coordinating Board, the state agency that administers the fund, say could take two to three months. But according to the preliminary results, UH appears to have turned things around and is anticipating a distribution of nearly $10 million over the next biennium. "They're the most improved," said Branch. In an email, University of Houston President Renu Khator told the Tribune, "We could not hope to sustain this strong level of support if we were not doing our part to build one of the nation's premier public research universities." UH is expected to be the first university to gain access to the National Research University Fund, a "prize money" fund created by Branch's initial bill that rewards institutions that have met the state's tier one criteria. "Our approach will not change," said Khator. "We will continue to build on our momentum and pursue excellence in all we do." UT-Dallas remains a frontrunner on the fundraising front. It currently boasts the highest request for matching funds at nearly $13 million over the next two fiscal years. "A lot of people think they've got a bright future and [a] very positive trajectory," said Branch. "The marketplace seems to be indicating that as well." Match requests are still coming in, and there's still roughly $1.2 million waiting to be claimed. That means there's still time for a school like the University of Texas at Arlington, currently poised to get nothing from the state in fiscal year 2013, to — as Branch says — "put some points on the board." Kristin Sullivan, a spokeswoman for UT-Arlington, told the Tribune that the school's most significant private gifts in the last year had come in areas other than research — going instead to initiatives like a 7,000-seat event venue — and subsequently weren't eligible for this specific fund. However, she noted that UT-Arlington's research expenditures have more than tripled in the last six years and that the school "expects that trajectory to continue." Overall, said Branch, the roughly $80 million invested in the incentive fund by the state has brought in approximately $120 million in private gifts — a combined total of $200 million for higher education. "We've gotten better than a one-to-one match," he said. "This is sort of the first wave of the fruits of this effort." In May, during the waning days of the 82nd Legislature, Gov. Rick Perry made a rare trip to the Senate chamber to broker a deal. Negotiators from the House and the Senate were struggling to cobble together a school finance plan that would slash state financing, integral to closing a multibillion-dollar shortfall in the state’s 2012-13 budget. After about 90 minutes, Perry emerged from the closed-door meeting to tell reporters he felt “very optimistic” that lawmakers would reach an agreement. Shortly, they did, agreeing to a change in the way the state allocates money to its schools that, in practical terms, meant a historic reduction of $4 billion in financing and an additional $1.4 billion cut in discretionary grants for public education. How the budget will affect the state’s public schools will be a cornerstone of Perry’s legacy and could influence his fate as a presidential candidate. But he is likely to be remembered most for a far more public battle: staving off the federal government’s influence — and sometimes its dollars — from invading Texas classrooms. When Secretary of Education Arne Duncan jabbed Perry on public schools in mid-August, it was only the latest skirmish between the governor and the Obama administration since late 2009, when Perry announced that the state would not sign on to common core-curriculum standards. Those criteria, though endorsed by the Obama administration, were developed by a consortium of 48 states and the National Governors Association. The announcement was quickly followed by news that Texas would not participate in the administration’s signature education program, a competition among states for $4.35 billion in grants, because of its emphasis on the adoption of the common curriculum. Texas public schools were eligible for $700 million through the grants. “I am not prepared to sell control of our state’s education system for any price,” Perry said in January 2010. The common curriculum, he said, could lead to the “dumbing down” of the state’s standards. Perry’s disdain for the federal government’s role in public education, along with legal challenges to the Environmental Protection Agency and the federal heath care overhaul, fit neatly into his anti-Washington primary campaign against U.S. Sen. Kay Bailey Hutchison, who challenged him for the 2010 Republican nomination for governor. It can now also be seen as a preamble to his presidential run. But unlike his positions on health care and environmental regulations, widely shared among conservatives, Perry’s early opposition to the administration’s education policies — whose bipartisan backers include former Gov. Jeb Bush of Florida — make him something of an ideological outlier among Republicans. Of his fellow presidential contenders, Perry “probably has the most fully formed vision of what he would like the federal role to be” in education, said Rick Hess, the director of education policy studies at the American Enterprise Institute, a conservative research organization. If Perry wins the nomination, Hess said, it could make public education more important in the general election. Proposals like the common core standards could suddenly become politically charged. Though federal issues have lately dominated Perry’s discourse on education, in earlier years he actively backed education proposals popular among conservatives, like incentive pay for teachers and private school vouchers, with mixed success. Vouchers failed several times to make it through the Legislature — proving politically lethal for Kent Grusendorf, chairman of the House Public Education Committee, who strongly supported them — and eventually lost momentum. The “last grasp” at passing a voucher program, said Sen. Leticia Van de Putte, a San Antonio Democrat who opposed it, was in the 2007 legislative session. When incentive pay also struggled for passage in the Legislature, Perry set up the state’s first statewide program with an executive order in 2005. It earmarked $10 million in federal money for teachers who had shown progress with students in economically disadvantaged school districts over three years. Lawmakers expanded it in 2006 only to discontinue it 2009 after a three-year study commissioned by the Texas Education Agency found it had little effect on student achievement. The problem, said Lori Taylor, a researcher at Texas A&M University, who was a co-author of the studies, was not with the concept of incentive pay but in the way the program implemented it, with every school choosing its own design. That meant that districts could, if they wanted, use the money to give every teacher an across-the-board raise regardless of student achievement — and that is what many of them did. The state’s current incentive pay program fared better in its evaluation, but because the gains were so small among schools, it wasn’t “wholly persuasive,” said Taylor. It’s unlikely there will be a follow-up, Taylor said, because very little financing for the program survived the Legislative session. The governor has exerted influence through his appointments to the Texas Education Agency and the State Board of Education, where he has consistently picked from the board’s faction of evangelical conservatives. Perry has also not been afraid to use — or let lawmakers know he was inclined to use, should they push him — his veto pen. In 2009, he killed bipartisan legislation that would have required limits on class size and offered full-day programs in state kindergarten. In his veto statement, he said the money was better used to serve more children under the state’s current half-day program than to create an additional program. During the last legislative session, the governor opposed a bill that would have changed how end-of-course exams were factored into graduation requirements under the state’s new accountability system. His office made it clear that if the measure passed, it would be subject to a veto, said Andrew C. Erben, of the Texas Institute for Education Reform, a business-oriented education advocacy group. “While he and his staff weren’t out front saying it’s a horrible bill, they let it be known they did not support it,” Erben said. Perry was more publicly adamant in his promise that he would not sign a budget that used the state’s Rainy Day Fund, a tactic that many called for to help ease deep cuts to public education. Lawmakers took him seriously, as was apparent during discussion between two House Republicans on an amendment that became one of the last efforts to use the money to help public schools. Very interesting, Dr. Santos. Thanks for publishing this in the Zavala County Sentinel. This is all so very complex. As Spanish-speaking people that emanate from this history many of us are and feel connected to our indigenous ancestry and so this history still stings us when we consider the profound trauma that our "assimilation" into European-origin society incurred. And this is not unlike the traumas and indignities of today that we experience as we try to carve out a positive sense of self from the shambles of divisive, derogatory, and culturally chauvinistic curricula that perpetuate not only harmful myths, but access to a very rich and provocative history that carries such tremendous potential for us today as intellectual terrain that we must seriously consider as we interrogate our inheritances from the past. I used to tell my students and now tell audiences when the occasion arises, that U. S. history is written and taught in black and white images from the East Coast and east of the Mississippi. This automatically means that the anti-Spanish, anti-Mediterranean Black Legend is subtlety taught to students who do not know they are being brain washed. Without them knowing, they are mis-educated to believe that everything Spanish, Mediterranean and Roman Catholic is inferior to the White Anglo Saxon Protestant (WASP) culture. The history text books reflect this approach as all Spaniards are depicted as blood thirty, gold hungry, murdering Catholics who killed and/or enslaved the Native American cultures. The textbooks and WASP perspective on history, never teach or discuss Spanish legislation such as Las Nuevas Leyes of the 1540’s or the more important Recopilacion de Leyes de Indias of the mid 1600’s, that recognized the civil rights of the Native Americans as citizens of the Spanish Empire. Other than listing and illustrating the textbooks with photographs of the Franciscan missions, the textbooks never discuss the evangelization program of the Spanish Catholic Church and the Religious Orders (ie. Franciscans, Dominicans, Jesuits et. al.) who through bilingual education assimilated many Native American cultures to Spanish North American society. Simply put, at one point a Spanish speaking Native American was baptized a Catholic, given a Spanish name, and socially transferred from being considered a government protected neophyte to a Spanish citizen. Once assimilated, the Spanish speaking, Roman Catholic Native American had all civil and religious rights within Spanish society. The socio-political-economic limitations experienced by the assimilated Native Americans were ruled by the Spanish caste system. Both Spanish Church and State identified 28 social castas with the Spanish-born citizen at top of the social structure. They were called Gachupin. Spanish citizens born on the Iberian peninsula (ie. Spain, Portugal, Viscaya, Navarre, Provance, Galicia) were called “peninsular”. These first two groups represented the ruling class of the Spanish Empire. They were the viceroys, generals, admirals, archbishops, bishops and religious missionaries who tried their best to enforce Spanish law and policy. A person born in the New World of European stock without Native American, Asian or Black ancestry were called espanoles or criollos. They were the second class citizens of the Spanish Empire. As such they were the military officers from colonel down to alferez (lieutenants), vicars, monsignors, parish priests, local merchants, cattle barons, hacendados (large property owners) and encomenderos who were vast property owners charged with the protection, maintenance and religious instruction of the Native Americans on their estates. Italian Sephardic Jewish, Basque, as well as devout “Old Christians” and converso “New Christians” ancestry. The only exception were the 15 families (59 people) from the Canary Islands who founded the Villa San Fernando de Bexar (now San Antonio) in 1731. However, they themselves were of Sephardic, Old Christian and New Christian background. The children of a union of a European and Native American were the third class citizens. Originally (1500’s to mid 1600s) if the father was of European stock and the mother Native American, the children were called “castizos”. If the father was Native American and the mother of European ancestry, then the children were called “mestizo”. By the late 1600’s the term and social designation of castizo was dropped and all children of such unions are commonly referred to as mestizos. This was probably brought about by the marriages of castizos and mestizos which did not produce an alternate social identification tag. This social casta represented the majordomos, clerks, domestics, ranch hands, cattle hands, farmers, masons, and local militia members. The fourth class casta were the Native Americans divided into two groups. First and foremost were the Spanish-speaking, Roman Catholic, “mission Indians” and their land-owning descendants. They represented the manual intensive labor force of the Spanish American colonies. The totally assimilated Native Americans (such as the Tlaxcaltecans) were usually referred to as “gente de razon” as they were frequently employed as colonists in new areas to serve as an example to the local Native Americans of the benefits of becoming a Spanish-speaking, Roman Catholic, land-owning person who dressed and lived like their mestizo and criollo neighbors. The 200 Tlaxcaltecans who founded San Esteban de Tlaxcala opposite the river from Saltillo, Coahuila in 1598 are a good example. Some of their descendants were among the settlers of the third founding of Monclova, Coahuila in the 1680s and the original Villa de Bexar in 1716 - 1718 (now San Antonio, Texas). Not all Native Americans went through the missions. On October 12, 1837, Jose Francisco Ruiz presented a Resolution to the Senate of the Republic of Texas stating “the people called Lipan (Apache), Karankawa (Texas Gulf Coast) and Tonkowa (south central Texas from Waco to Atascosa, Wilson, Medina and Frio counties) your committee considers part of the Mexican Nation and are no longer to be distinguished from that Nation. They occupy the western part of Texas”. In 1837, “West Texas” began at Colorado River and extended to the Rio Grande. Hence, the Native Americans family clans of diverse tribes and nations not killed by the recently arrived settlers from the United States, were socially and legally declared “Mexican” but not Mexican citizens. Many eventually moved into the communities of South Texas where in time they became part of the Tejano and Mexican American population. WASP Black Legend version of U. S. and Texas history, many reach out for a false identity they consider more positive than their cultural identity, or succumb to an inferiority complex due to not knowing their respective family background.